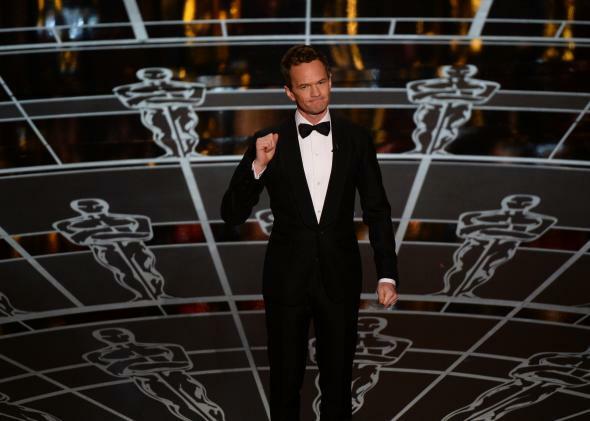 Neil Patrick Harris hosts the 2015 Oscars: This was his least funny awards show—what went wrong? This Was Neil Patrick Harris’ Least Funny Hosting Gig. What Went Wrong? Is being an Oscar host a thankless task or the most thankless task in all of entertainment? Best-case scenario for host: You don’t irrevocably scorch your reputation. Worst-to-regular case scenario: You do. But going into tonight’s oversized Oscar telecast, Neil Patrick Harris seemed to be above this particular Catch-22. As a four-time Tony host and a two-time Emmy host, Harris has been consistently excellent, talented, affable, jocular, deft—the one guy who had made hosting look like a true skill, not some game of reputational Russian roulette. And yet despite all his experience, the Oscars undid even him, whose magic touch fell as flat as the night’s long-running, ostensible magic trick. To be fair to Harris, he wasn’t working with very good material. This was one of the least funny Oscars in recent memory. (The head writer, for what it’s worth, was not a comedy guy.) The show opened with a musical number earnestly celebrating “moving pictures.” Jack Black made a sonic cameo as the voice of cynicism, decrying all that is dysfunctional and crass about the industry, but then Harris returned to his loving ode to cinema. “More than any one image, more than any one star, moving pictures change who we are,” he sang. In other words, the show began without really even trying to be funny. Given the so-called one-liners that followed—puns on puns—it may have been wise to largely eschew humor in the opener. The endless Nakamura about Harris’s Oscar predictions, locked in a briefcase, was doomed to fail from the start. (Also, how ill-conceived is a magic trick at the Oscars to begin with? People who make movies can literally make you see anything you want, from space ships and aliens to Brad Pitt aging backwards. Unsurprisingly, they can get into a locked briefcase.) One particularly illustrative “bit” from the night: Harris goes into the audience, talks to a few seat fillers, and then talks to Steve Carell. That was the joke. Harris is a consummate professional. Out of breath after performing an involved song and dance number, he still seems fully, elegantly in control. His Birdman send-up, in which he walked on stage in his very tightie whities, was a good demonstration of his ability to make anything seem basically appropriate and in good taste. But as it became clear he didn’t have the best material, he started to seem a little nervous, less assured. He giggled at his own not-great, pre-written jokes. His ad-libs got scarier: He joked about a winner’s pom-pom-tastic outfit immediately after she had dedicated her Oscar to her suicidal son. A smidge of panic crept in, where previously there has only ever been panache. As the show dragged on and the jokes kept dying, Harris and his writers started to stumble over race. The first joke of the night was a crack about the Oscars’ lack of diversity. “We celebrate the best and the whitest … sorry brightest,” Harris said, before launching into the musical number. Harris is not responsible for the extremely white nature of this year’s nominees, and with this joke he and the producers were trying to acknowledge a real problem. But they ended up over-compensating: Trying to demonstrate diversity, they ended up pulling black actors into not great bits and condescending to them there. Octavia Spencer was commanded to watch a briefcase all night—“Snacks? No snacks, ok?” Harris commanded. David Oyelowo—who was later snarkily introduced as someone who “absolutely deserve[s] to be here”—was told to stand up and read something in his funny British accent. And yet despite the mediocrity, and worse, of so much of the scripted portion of the show, hours and hours into it, it did begin to develop its own kind of momentum—a kind that didn’t come from Harris at all, but from the speeches. So many of the speeches at this year’s Oscars were engaged with issues. From Patricia Arquette’s Meryl Streep-approved call for pay equality, to Common and John Legend’s impassioned speech about racial justice, to what became a cavalcade of remarks about something: being weird, ALS, Alzheimer’s, immigration.